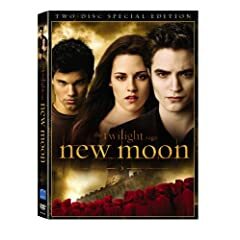 The second Twilight film, The Twilight Saga: New Moon is released on DVD this week, as is Disney's animated The Princess and the Frog. The Criterion Collection edition of Marco Ferreri's Dillinger is Dead looks interesting, with new interviews with actor Michel Piccoli and Italian film historian Adrano Apra. Two worthwhile music DVDs are released this week, The White Stripes: Under Great White Northern Lights, which captures the band's 2007 Canadian tour, and Gogol Bordello Non-Stop. Television DVDs in stores this week include the second season of my favorite television drama on the air, Breaking Bad, as well as the thirteenth season of South Park and the eighth season of Monk. Veiled Voices is an important documentary about the changing roles of women in the Arab world.